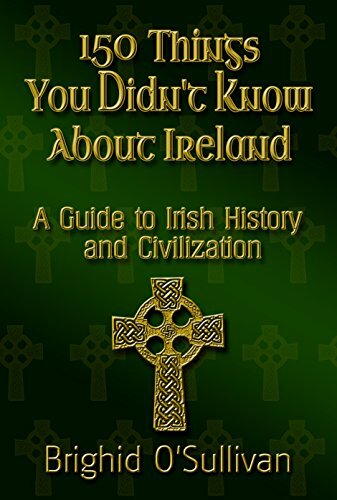 about this book: 100 Things You Didn't Know About Ireland is really over 150 things now with an added Bonus to the new edition. Its a crash course in Irish history filled with amazing and unique information concerning Irish sayings, history, scientific discoveries, and achievements by people who were Irish and sometimes those who emigrated to America. The book is meant to wet your appetite for more knowledge about Irish history. There is a section devoted to the Irish famine and if you thought you knew everything about the famine think again. What really happened in Ireland in the 1840s will both shock and disturb your sense of justice. The last part of the book is a sort of celebration about the human spirit of those Irish men and women who made a better life for themselves and the generations after them. If you have any Irish ancestry at all, read this book. Its a fun read for those with a curiosity or passion for Ireland and acceptable to all ages.